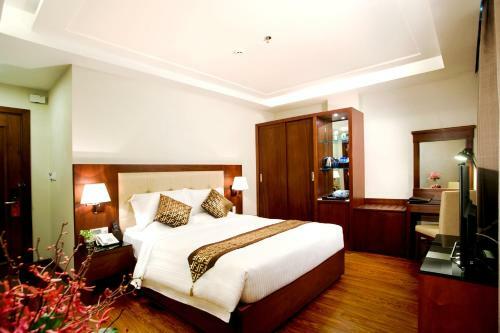 Located in the heart of Ho Chi Minh City, this hotel is a 5-minute walk from the Opera House. It features 2 dining options, 24-hour room service, and rooms with free Wi-Fi access. Nhat Ha 3 is within 1 km of Ben Thanh Market and the Notre Dame Cathedral. 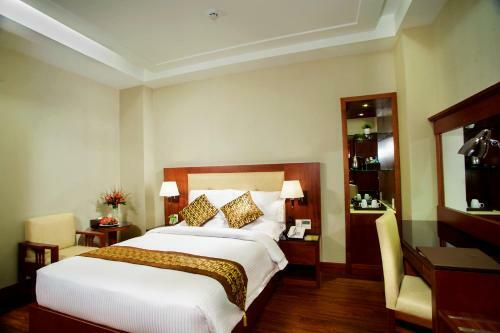 It is a 5-minute drive from the Reunification Palace and a 25-minute drive from the Tan Son Nhat International Airport. 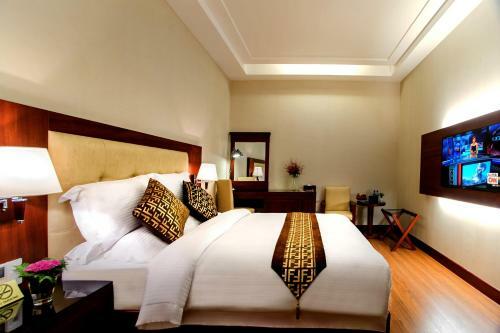 Modern air-conditioned rooms feature wooden furnishings and a flat-screen TV with cable channels. Private bathrooms come with hot and cold water facilities and a hairdryer. Tea/coffee making facilities and a minibar are included. Golden Rice is an all-day dining restaurant which serves Asian and Western dishes. A bar called Golden Leaf is situated at lobby level. Guests can exercise in Nhat Ha’s gym room or head to the 24-hour front desk for assistance with luggage storage, currency exchange and airport shuttle services. The hotel has a meeting room which overlooks the Saigon River.